Manage All Registrations in One Place: View and modify all of your registrations for multiple courses/events in one easy to use interface. Customize Registration Forms: Collect individualized information based on the type of event or course. Save Time: Execute all of your CME tasks in one place, and track all related activities in one simple reporting dashboard. 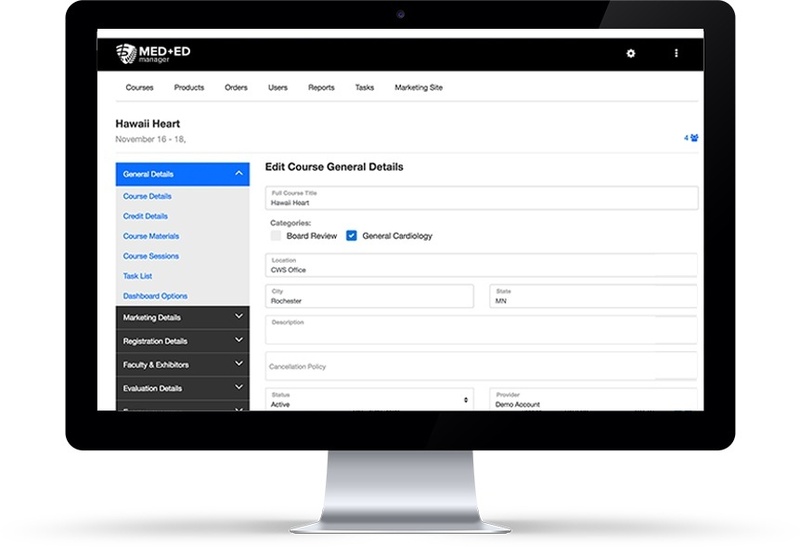 Test an online live demo of MedEd Manager to see how it works. We'll show you how easy CME Management should be.